Caroline Voet is co-founder of the award-winning architectural practice Voet en De Brabandere in Antwerp, Belgium. She focuses on reconversions and the design of cultural buildings, public interiors, scenography and furniture. Voet is professor at the KU Leuven, Faculty of Architecture, Campus St-Lucas Ghent and Brussels, where she received her PhD in 2013 on the work of Dom Hans van der Laan. She holds degrees in architecture from the Architectural Association in London and the Henry van de Velde Institute in Antwerp. 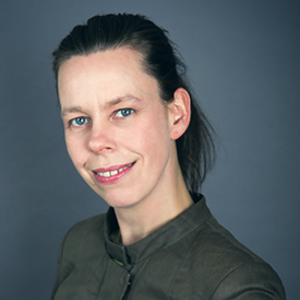 Her research and teaching focus is on spatial systematic and architectural methodology and has been published in for example ARQ and Interiors Routledge. She wrote for the Architectural Yearbook Flanders and in 2016 she was co-editor of the book Autonomous Architecture in Flanders. She recently published “Dom Hans van der Laan. Tomelilla (Architectura and Natura)” and “Dom Hans van der Laan. A House for the Mind” (VAi).